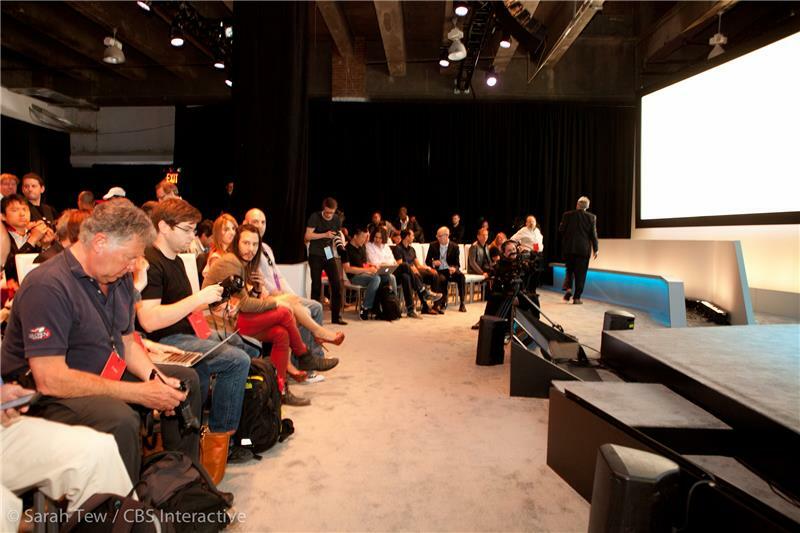 Microsoft's Surface division has invited journalists to a "small gathering" in New York City on May 20. 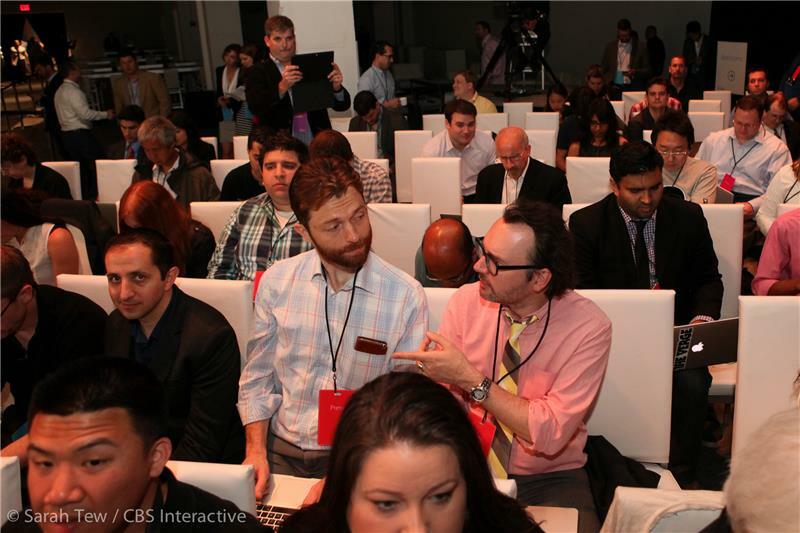 Best bets are for the unveiling of a Surface Mini tablet, along with a possible Surface Pro 3. And welcome to our pre-game show. The event is scheduled to start in about 30 minutes. In the meantime, here's a recap of what to expect. that a small-screen Surface tablet is on deck. Such a product has been rumored for months. And this would hardly be the first small Windows tablet. We've seen a bevy of 8-inch models from the likes of Asus, Acer, and Dell. rather than the stripped-down Windows RT. Also notable: Most of them cost between $280 and $350, at least in the entry-level configuration. Surface mini would be excellent in sales. 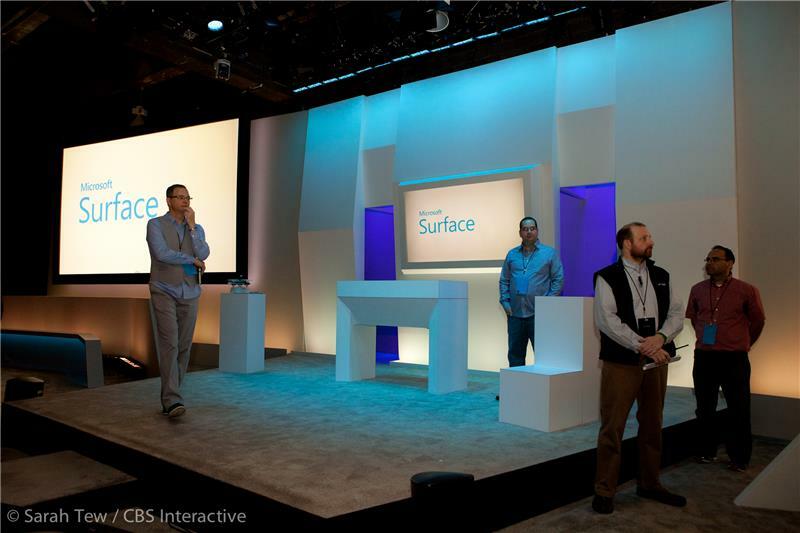 In addition to a Surface Mini, we may also see an update of the full-size Surface model. Currently, that's the Surface Pro 2. Hi everybody! We're in our seats here at the event in NYC. Hello, all -- we're seated in the Surface event space, following a long queue outside in the blistering morning sun. Earlier: Microsoft to expand Surface Pro line with bigger display? Hmmm. If Dan thinks today is "blistering," I think he's in for a looooong hot summer. One notable quote from that article: "Tablets powered by Microsoft's Windows software, including the Surface, accounted for less than 4% of tablets sold world-wide last year, according to research firm IDC." We have about 18 minutes until our event starts. Have any predictions for us? Hit us up on Twitter. I'm @Tim_Stevens. Dan is @danackerman. We'll share our favorites. John, it wasn't the sun itself, as much as the no-shade, line-up-against-the-brick-wall vibe, which accentuated the effect. Also, look for sunburned bloggers later today. Most folks seem "happy" with their current smartphone, tablet, and/or PC. No compelling reason to upgrade, especially if your must-have apps run perfectly well on existing hardware. And if you'll recall, iPad sales were down, too, though Apple claimed that was due to "supply chain issues" or somesuch. My prediction: none of today's products will run Windows RT, which will lead to a slew of "RIP Windows RT" stories by end of day. It's a fairly small venue, as advertised, a couple-hundred journos, photogs, videogs, and assorted hangers-on in here. We're bathed in white and blue, a bongo drum serenade. Mr. @StefanEtienne says "That will be called Surface. And It will be worth buying this time." -- The Surface name is a lock. Many would say the previous versions were worth buying too. The big question is: what'll change this time to make things more compelling? @TxdoHawk says "Tiny RT tablet that nobody wants. Surface 3 Pro with nice touches focused on artists." -- Small tablet sales have been booming of late -- as have big phone sales. It's a bit of an odd convergence toward the middle. @Josh_Sherm says "I'd be shocked is there was a Surface with the new passive-heat i5 processors and a lower ($500) price for them," -- Cooling fans are increasingly an issue in devices of this size -- both for battery life and packaging concerns. If that could be nixed in the Pro models that would certainly make for a thinner, lighter device. I'll point out that when we have reviews of other tablets, including Windows tablets, on CNET, a handful of dedicated Surface defenders come out of the woodwork. From @nicolasmagand: "13" Pro, thinner RT, maybe higher-res option, keyboard included, Office included in Pro" -- I have a feeling you might be happy with what we get today, though 13 might be a bit on the large size. Office feels like a natural. Again, if you want to get in on the fun, we're @Tim_Stevens and @danackerman. It's worth noting that there are two Microsoft personnel just sort of hanging out on stage. They're chatting idly at the focal point of the room. Curious. Panos Panay has just made an appearance, making the rounds and saying hello. Panay is Corporate VP at MS, a guy who we'll be seeing a lot of today. Satya Nadella tweeted earlier about the weather in NY, so the expectation is that he'll be making an appearance today as well.